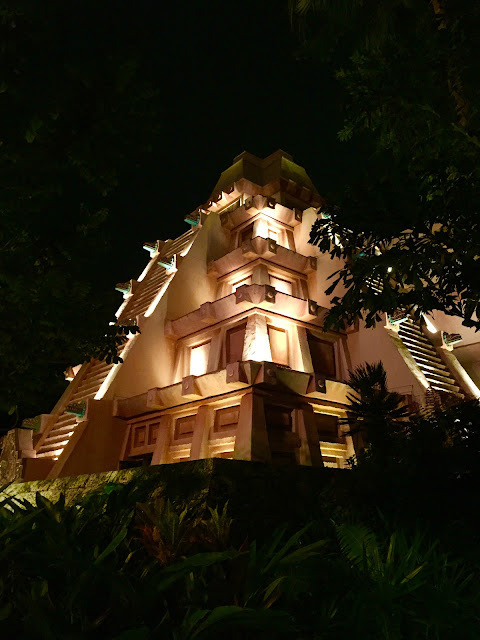 As I was walking through Epcot last night, I spotted this view of the Mexican pavilion and liked the angle and the lighting. I took this shot only minutes before Illuminations was scheduled to begin. The control booth for the nightly spectacular is located near the top of this building. At the time I snapped this photo, the final Frozen fireworks show was occurring across the World Showcase Lagoon at Hollywood Studios.